A good garden can trasform a home into a kingdom... but any outdoor space needs a caring touch from time to time. 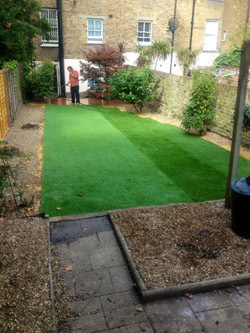 We hold a strong appreciation for that, and always aim to deliver the very best gardening services London has to offer. Our skilled, experienced gardeners are well-versed on every gardening practice you could think of – from planting, pruning, and weeding, to all-out landscaping projects and garden clearance. Plus, thanks to our highly flexible schedule, you can reap the benefits of our gardening services at any time of your preference. When it comes to the tools of the trade, our teams know no match - you’d be pleasantly surprised at our versatility and an outstanding level of skill. Years of hands-on field experience have given us a remarkable insight into the specifics of garden maintenance. 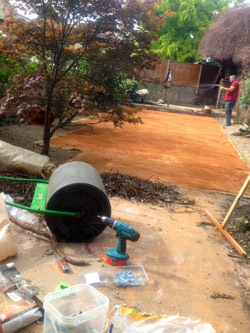 In our dedicated quest for perfection, we leave no stone unturned as we restore your garden to its former glory. Our gardening rates are very affordable, among the best in London, and we have locally-based teams in virtually every major area of the city. Call our fully staffed customer service centre now, and take advantage of our flexible service schedule - we have availability on late evenings and weekends. Visit our reviews page and read some of our valued customers’ feedback! Enjoy increased discounts by booking several services! Combine your gardening with patio or tile cleaning. The very best in gardening services London has never been easier to organise! Call us on 020 3404 5155 to receive a free consultation, arrange a convenient viewing appointment, or even book a service entirely over the phone. Quotes, advice, and general info are provided free of charge. You could even give our online chat feature a try, our operators will gladly assist you! Request a free e-mail quotation today – it’s convenient, easy, and obligation-free. You can also book us online - our online booking form is highly versatile and designed for your convenience. Stop by anytime and book a service that is just right for you, and just right for your budget! Enjoy our gardening services and end of tenancy cleaning services in London – nature-friendly, efficient and affordable.